This year’s Celebrity Concert is with Aled Jones. Definitely not to be missed. Last year was a year of fantastic achievement for him. His album One Voice reached No.1 in the Classical Album Charts. This was followed in December by his reaching the number one slot again with his album, One Voice At Christmas. Some achievement! We are so pleased that he is coming to sing some of the music from his award winning albums for the people of Hartlepool and surrounding area. In addition, he will also perform some songs with the choir. 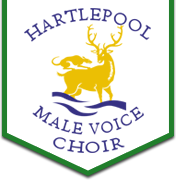 The concert is on Saturday, 17th of June at the Borough Hall, starting at 7:00 p.m. Tickets are available at £25 (with some restricted viewing at £20) from www.destinationhartlepool.com or via the links on Aled’s website – http://officialaledjones.com/. Please do try to come along and enjoy a night of amazing entertainment.